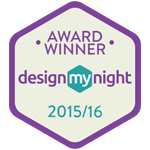 Votes came in thick and fast for this year’s DesignMyNight Awards, with over 20,000 votes cast, the people have spoken…. and we are thrilled that Beaufort House was voted Best All-In-One Venue in Chelsea. Beaufort House’s home-from-home atmosphere was a real winner with the voters, and the venue, spread across four floors was felt to offer something for everyone. Each bar at Beaufort House has its own atmosphere to suit your mood. There’s the stunning champagne penthouse, the members’ bar and restaurant, both available for private hire and our club room that can be used for private dining, screenings, presentations and meetings, as well as our ever popular ground floor cocktail bar and brasserie open to all. The brasserie at Beaufort House is open during the day from 8AM and serves delicious and healthy breakfast dishes and fresh juices and smoothies throughout the morning, and then the menu changes to offer scrumptious salads, steaks and other mouth-watering dishes. Our fabulous ground-floor cocktail bar mixes some of the best cocktails in town and as the night time draws in, it really begins to sparkle: this is one of London’s most fashionable night spots, where people come to see and be seen. Sophistication begins with the quality of the bar menu: our cocktails are created by some of the best mixologists in London. Choose a reliable classic or one of their signature cocktails like their spiced pear mojito, or King’s Road crush.